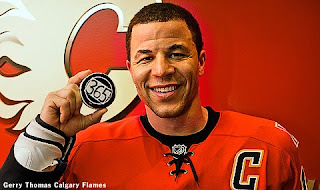 Jarome Iginla scored his 365th career goal tonight. 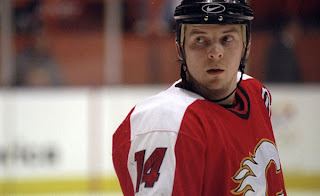 The goal make him the all-time goal scorer in Calgary Flames history, passing Theoren Fleury who has 364. Fleury still leads Flames team record for points with 830 points. Trivia: Fleury assisted Iginla on his first goal...but it was a playoff goal. 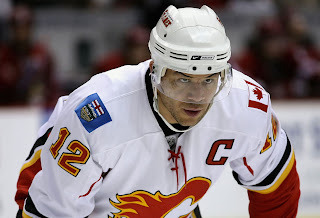 Iginla also leads the franchise in games played. Oh, this is one of the many reasons Fleury is my all-time favourite player.